Leftover adai batter always goes into making paniyaram. Yesterday evening was quizzing wat do i prepare coz i need to sit down to watch the T20 match tis samai rice adai batter popped from the fridge n immd with no second thought made these quickies.. Thoug v lost the match i had nice time munching these..they made perfect crunchy munch with my cup of tea. Mix all the ingredients except oil and set aside. Heat oil in a pan and drop the batter in reqd shapes and fry until golden brown. Remove from heat and serve hot with chutney n sauce!! Yumm!!! Very innovative and tempting!!! Had you served this delicious item to our team during their tea break, we might have won the match ! Looks so crunchy and yummy... would be lovely with a cup of tea! 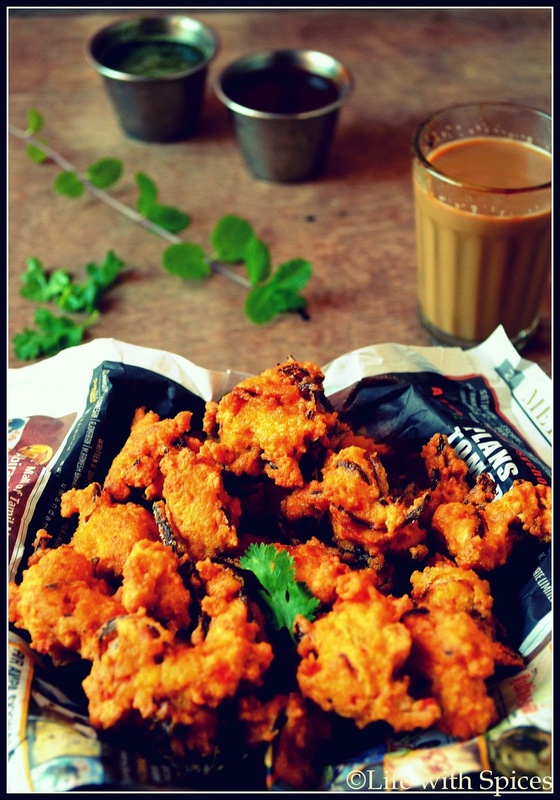 Cup of tea and samai adai kunukku, wow am drooling here.. Am getting bored of cricket matches now..